Hi everyone, this is a back dated post. I woke up feeling emo because I kind of miss my late mother. She left suddenly and I have so many words left unsaid - I have yet to tell her I love her and I have always known that she has always loved us deeply. Owen Seafood Restaurant was a picture of family bliss as this was the place where she celebrated her last birthday. She was very happy with Owen Seafood because being frugal, she had always loved a steal. 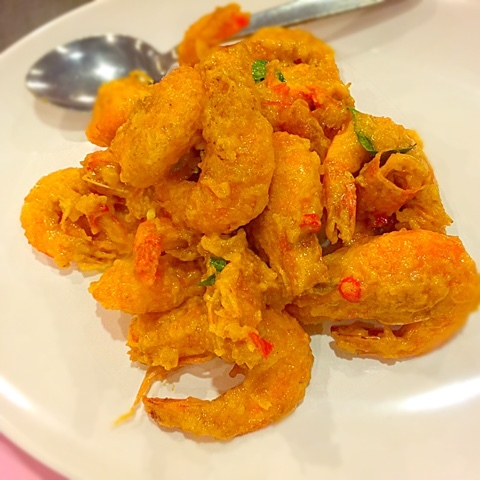 Owen is a place which serves decent seafood and Chinese delicacies at very affordable prices. We ordered a set meal and added the crabs. 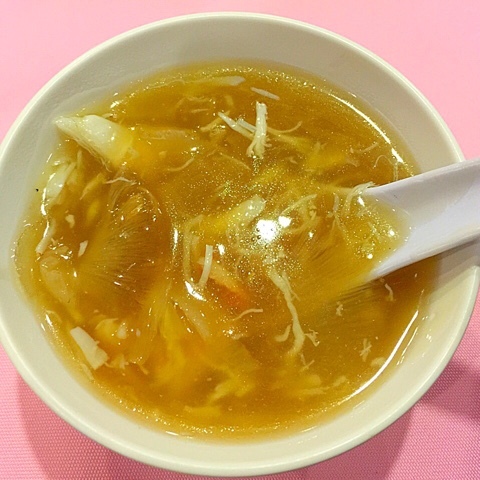 The Sharkfin soup contained "real" pieces of shark fin, unlike some versions which serve pieces of jelly. The Peking Duck skin was crispy and the aroma of roasted duck went well with the egg wrap. 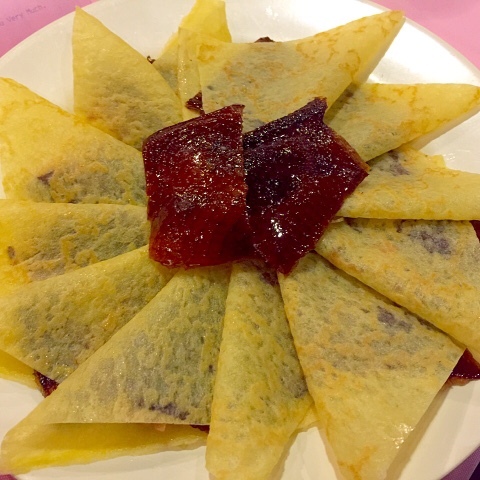 Do not expect Tunglok Xihe Peking Duck standard but this would do if you have a craving for Peking Duck. I adore enormous, fresh, succulent prawns but from the picture, you could tell that the prawns were the usual sizes you bought at the market to cook at home. The redeeming factor was the freshness. I have tasted very yucky ones whose flesh were no longer firm but Owen prawns were firm, just not big. 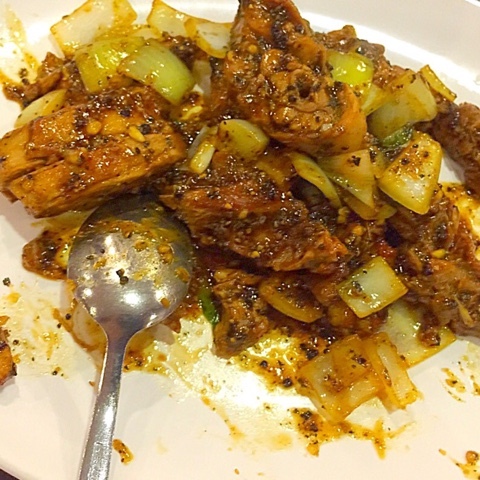 The egg yolk sauce was what anyone could expect from a good EYS from a decent Zi Char stall. Nice! I supposed the black pepper duck was part of the Peking Duck experience? I am not a big fan of stir- fried duck so this dish was very average for me. Edible and nutritious. We decided to pamper ourselves and added two crabs. Outside Owen, there were tanks of all kinds of seafood, reminding me of those I saw in Sai Kung in Hong Kong. We could go and choose the crabs ourselves which we did. 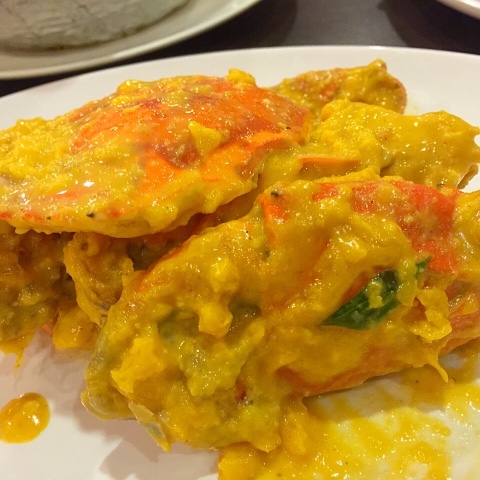 The crab was fresh and the salted egg yolk sauce did not go wrong. The Black Pepper sauce was not too overpowering or spicy - a good alternative to balance the jelatness of our salted egg yolk prawns and crab. Halfway through our meal, we noticed that the conversation at the table beside us was getting louder. A man in his thirties was talking back to a couple in their sixties. He was fed up with them asking him to find someone to settle down - very interesting side conversation. 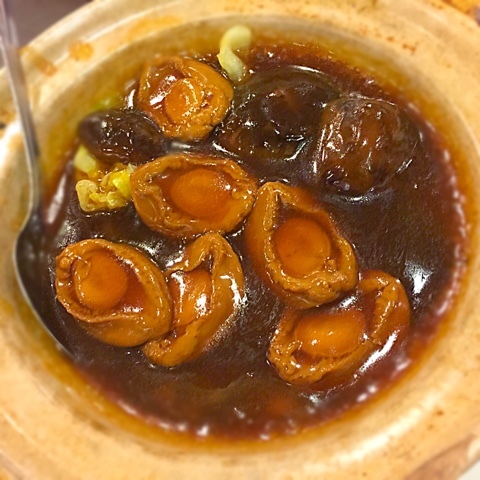 I was very impressed with the abalone as they were really stewed WHOLE - tasted chewy in a nice way and the sweetness of the ocean was evident in the abalone. This was a dark horse. It was delicious! 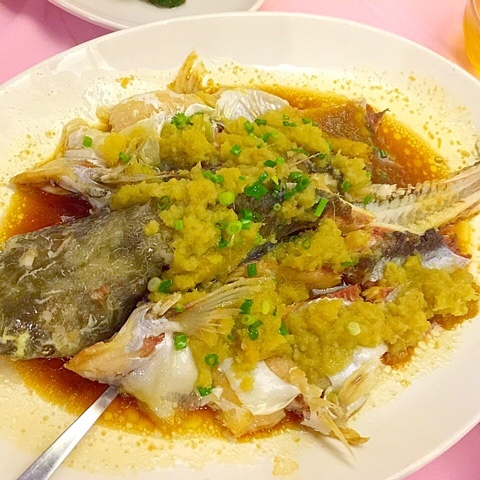 I have never tasted such sauce elsewhere but the aroma of the ginger, coupled with the saltiness and sweetness of soya sauce, complimented the fish so well. The fish itself was very fresh, no fishy smell at all. 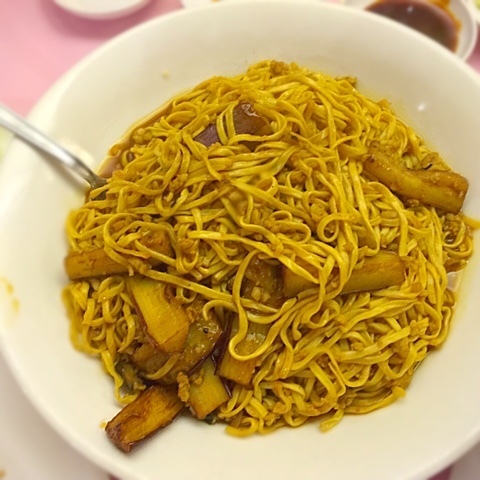 I like their version of the Ee Fu noodles because I felt that such noodles should not be overpowered by oyster sauce and should bring out the fragrance of the noodles which this version managed to achieve. After a hearty seafood meal, we ended with Sea Coconut dessert and of course, our cake to celebrate her birthday. We were smiling away as the waiter snapped away. The service was average. 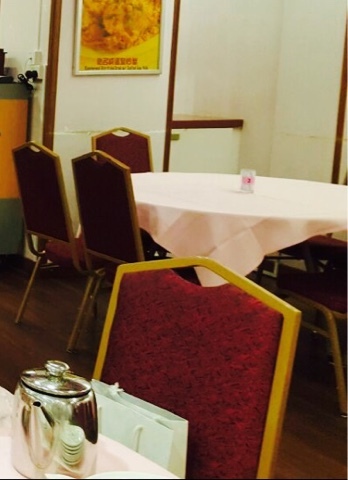 I also took a photo of the dining area - very 80s looking restaurant. If you want to impress your future in-laws with a preference for a much better ambience, this is not the place. 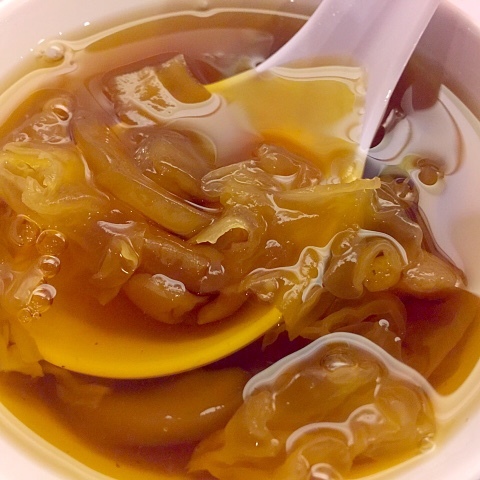 If you are salivating at the thought of eating shark fin soup, abalone, crabs and other weird seafood but you do not wish to burn a big hole in your pockets, Owen is the answer. I hope that you have enjoyed my special post. After my mum has left, I start pondering over what I really want to say to people that I care for but yet to tell them and try in casual ways to slip in what they mean to me. I also miss the weekly family gatherings we had whereby we would have a good meal together. Have a good weekend with your family and friends! Cherish the times spent with them! Very detailed description of the food that u have recommend. Wouod love to try them one day. Must be good to yourself and i am sure that what your mummy want u to be. Hi Da Ren Fei He, Thank you for dropping by! How to be good to myself? My husband and I really enjoyed your blog. My mother passed away fairly recently and there are certainly restaurants that bring back the same special memories. 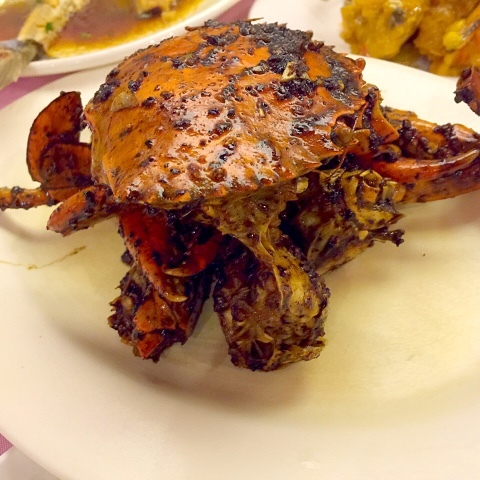 The food at Owen Seafood looks especially delicious. The abalone looks fantastic as does the Peking Duck. I am also very intrigued with some of the other dishes you posted pictures of. Awesome blog on seafood. Avail such service at Ocean Basket.